Medical Accounting Software: Does My Practice Need Better Healthcare Accounting? Most healthcare organizations would rather talk about patients than administration any day of the week. Unfortunately, those seemingly small and insignificant back-office tasks need to be discussed now and then to make sure your practice runs smoothly. Thanks to medical software solutions, many of these tasks are easier to manage than ever before. Charting software (EMRs/EHRs), medical billing software, patient scheduling software and medical practice management software all offer unique benefits to healthcare organizations of all sizes. However, the question that many find themselves asking is: does my practice actually need any or all of these different types of software? For example, do I need medical accounting software? What Is Healthcare Accounting Software? First of all, let’s define what exactly medical practice accounting software is. Also known as medical billing software, medical accounting software is a system that manages your practice’s revenue cycle. The basic purpose of medical accounting software is threefold: first, it aims to automate several steps of the billing process, like claims scrubbing and standardization, to relieve the clerical workload on your staff. It also streamlines the process by collecting all the necessary steps in a single interface so the work that staff does need to do is efficient and organized. Finally, it serves as a secondary net for catching errors that can be costly to both patients and practices. Medical accounting software streamlines patient management tasks like patient accounts, collections and copays. Additionally, it handles back-office and billing functions such as accounts payable, accounts receivable and general ledger features. Medical office accounting software also helps manage the often complex workflow of processing claims with insurance providers and Medicare/Medicaid programs. It automates the process of importing data, checking it for accuracy (scrubbing) and generating reports based on the data for decision-makers to utilize. The system also manages and tracks your patient information. Unlike EHR software and EMR software, it doesn’t track their medical histories, but rather their billing information. This gives you a complete record for each patient that offers an overview of billing history, their payment habits, level and type of insurance coverage, etc. This record lets you send bills, request payments, send automated reminders and deliver collections letters if necessary. Large healthcare organizations pretty much have to use either medical accounting software or medical billing services (we’ll come back to that). The sheer volume of patients that walk through their doors makes simple Excel spreadsheets unmanageable. MPM might be up to the challenge, but to be on the safe side you should definitely look into both billing modules of practice management and standalone medical practice accounting software. Small practices of the past could often handle the load of billing without a software system at all, but that doesn’t mean they don’t need one. Depending on how your practice manages the back office, you might find that medical billing services or hiring a staff member to handle billing is more cost-effective than medical practice accounting software. That said, the problem with using medical billing services is that they’re not always willing to work with small practices since they don’t generate as much revenue as larger ones. This issue aside, a smaller volume of patients naturally makes billing management much easier. So an MPM or a medical accounting system with simpler, less robust features (and, thus, usually a lower price tag) can still have significant benefits even for smaller or solo practices. Does or Will Your Practice Operate in a Direct Primary Care Model? A new trend has been popping up in medical practices around the country: discarding the relationship with insurance providers altogether. These practices, known as direct primary care practices, collect monthly or annual fees from their patients instead of dealing with insurance claims. This trend arose as a result of wanting to improve patient care and relationships since many practices felt like they worked for the insurance companies instead of their patients. If your practice operates under this model, if you’re currently transitioning to this model or if the above paragraph has convinced you to adopt this model, then you may not have much of a need for accounting software for healthcare organizations. One of the biggest advantages of this software is that it helps manage the complicated insurance claim process. Managing what amounts to a subscription service for the direct primary care model is much easier without software assistance. Of course, automated patient billing is always easier than doing so manually, so direct primary care practices can still benefit from using medical accounting software. Do You Use Medical Practice Management Software? Medical practice management software (sometimes shortened to practice management, MPM or PM software) is a versatile back-office solution for healthcare organizations. Among other capabilities, it offers appointment scheduling software, document management, information management, revenue cycle management and a patient portal. It also offers one other important feature: billing and coding. If practice management software already plays a critical role in your medical office, then medical accounting software is probably unnecessary. The most important features of accounting software for healthcare organizations are included in the billing and coding features of practice management, specifically the management of insurance claims and cash flow monitoring. So if your practice already deploys practice management — or is looking to implement it — you don’t have to double up with medical office accounting software. The billing modules of medical practice management software can be just as robust as a separate medical billing system or medical accounting software. If you have a small to mid-sized practice, your needs can likely be met by your practice management software. If you are a multi-practice organization or a large hospital, you might want the stability and power of a designated medical accounting platform. Should I Use Medical Billing Software or Medical Billing Services? Another potential alternative to medical accounting software is a medical billing service. If you realize that you only need help managing your finances, you may want to compare medical billing software to medical billing services. When you opt for outsourcing, your staff will forward bills and other financial documents to a medical billing service provider. Once the service receives your paperwork, the company will manage your claim submissions, tracking and basic data entry tasks. Typically, you’ll pay a medical billing company a percentage of the amount that they collect. Currently, the industry average is around seven percent. Traditionally with medical billing software, you’d have a system installed locally to manage your practice’s finances. Cloud-based medical billing software is becoming more prominent and is also a viable option. In most cases, medical practices only require basic billing software, but if your system is outdated, you may consider upgrading to a billing management program. 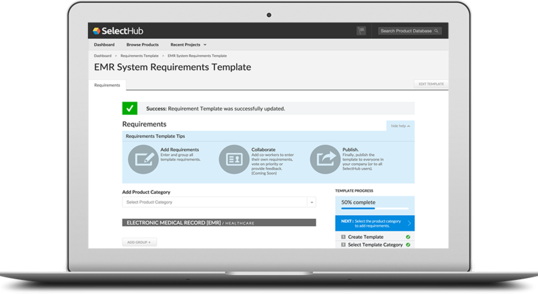 The extended framework includes features that will help you manage your entire facility. Features include using it for scheduling, storing electronic medical records and assessing imaging. Because billing can be time-consuming and emotionally challenging, you may prefer to outsource. Medical billing service companies follow up on rejected insurance claims, and they will contact patients regarding delinquent accounts. This type of service is set up to send invoices to your patients. If your practice is short-staffed, then a service provider may be more helpful than in-house software since outsourcing decreases the amount of labor needed to operate your facility. A major benefit of choosing a medical billing service provider is the convenience that it offers. Medical billing companies may provide better transparency. If you select this type of service, make sure that the company supplies detailed performance reports upon request. This will let you review your billing operations. Outsourcing ensures that you will have access to a billing staff at all times. The service also delivers operational consistency as most companies agree to perform a specific set of services. One of the downsides to outsourcing is its variable cost. This feature delivers budgeting challenges since the company’s fees will change every month. Also, outsourcing may include extra fees. Before contracting with a billing service provider, confirm their exact pricing structure. In addition, you will need to hand over billing control to another entity. By choosing in-house software, you’ll be retaining complete control of your practice’s operations, which provides peace of mind. Once you’ve paid for medical billing training and the processing software, you’ll have a better return on your investment. If problems arise, then you’ll have immediate access to your records. Billing software lets users identify and address administrative issues before it becomes a serious problem. One of the drawbacks to in-house billing is the cost. The additional salaries and expenses for employee benefits are likely to increase your practice’s overhead. Billing systems can come with a serious price tag, and cash flow bottlenecks can occur if you have a staff of only one or two billers. If one of your employees becomes sick, takes a vacation or quits, then you’ll be facing retraining expenses for a new employee as well as a potentially stalled billing department in the interim. Billing management can be a tough choice since service providers and in-house software both offer advantages and disadvantages. When making the decision, consider the size, age and needs of your practice. For instance, if you’re just getting started, it may make more financial sense to outsource. If your practice is established with a billing system already in place, then a system upgrade may be all that you need. Gather requirements: Your practice is unique, and you need specific things from a medical office accounting software system. This downloadable requirements template can help you identify which features of medical billing/accounting software your practice is likely to use and which features are a high priority. Compare systems: Next, you should compare different medical accounting software to create a shortlist of potential matches. Now that you know which features are important to you, we recommend comparing systems based on features. This ensures you create a shortlist that meets your needs rather than relying only on customer reviews or the number of features a system offers. Get a price quote: Wait, you might be thinking, shouldn’t price checks be the first step? Most business software vendors only offer price quotes by request — this is largely due to the fact that every business is different, so it’s very difficult to offer price information without knowing what features that business needs to use. You can get a general idea for price points from our medical accounting software pricing guide, but estimates are just that — estimates! And now that you’ve created a shortlist of four or five products that fit your basic requirements, you can ask for specific price information, product demos, trials and more to find a system that works for you and fits in your budget. Take a trial run: One of the main pitfalls of software is that you never know if you like how it works until you try it. Many vendors offer trials and guided demos to give potential buyers a feel for the software interface, and this is a crucial step to choosing software. Medical software in particular has a reputation for not being user-friendly, so getting to see firsthand how the system will look is a great way to make sure you get a system you feel comfortable using. That being said, all software has a learning curve, so don’t let a complex interface scare you away. Choose a system and deployment: Software comes in two basic deployment formats: on-premise and cloud-based. On-premise software requires users to house the hardware (think servers and an IT team to maintain them) on their site. Cloud-based systems are accessed via an internet connection and are run and maintained by the vendors. Both have pros and cons, so it’s important to identify your preferred deployment method and ensure the vendors you shortlist offer that option. At the end of the day, every practice large and small can benefit from using medical accounting software. The benefits of automation and reduced errors are invaluable to both the medical practices themselves and the patients they serve. However, based on how your particular practice operates, you may find that other options, like a billing service or all-in-one system like an MPM, are better. You also may find that other methods are more cost-effective, or you may already have these functions covered. Make sure to investigate the different options so you can make an informed decision based on what option best equips you to care for your patients. Do you still have questions about medical accounting software? Leave them in the comments! Really awesome article, billing software for medical practice is really essential, it saves a lot of time and makes things easy to handle.